Slide lock, large opening accommodates ice cubes and easy cleaning after use. BPA-free polyurethane film is protected by Microban® antimicrobial technology. 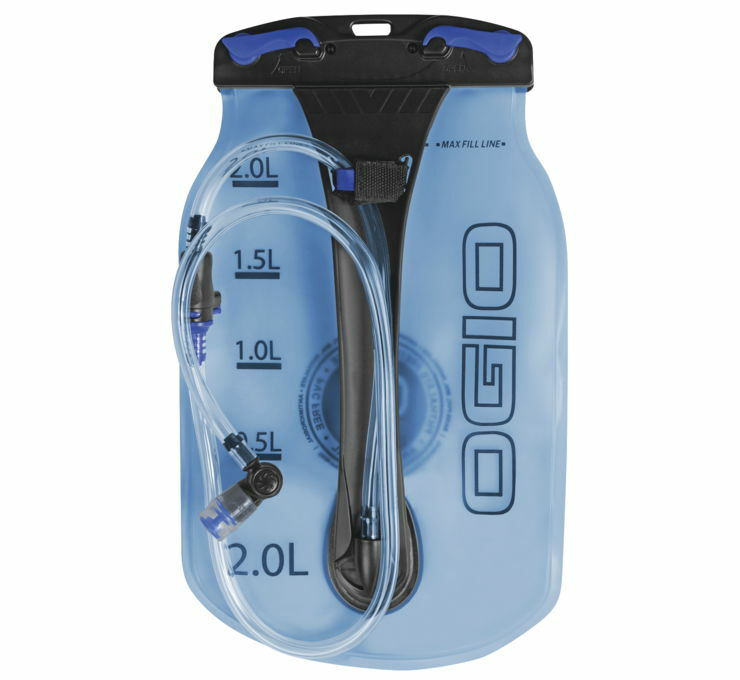 Ogio Reservoir utilizes radio frequency welded seam technology on seams and exit port to ensure a strong leakproof bond. 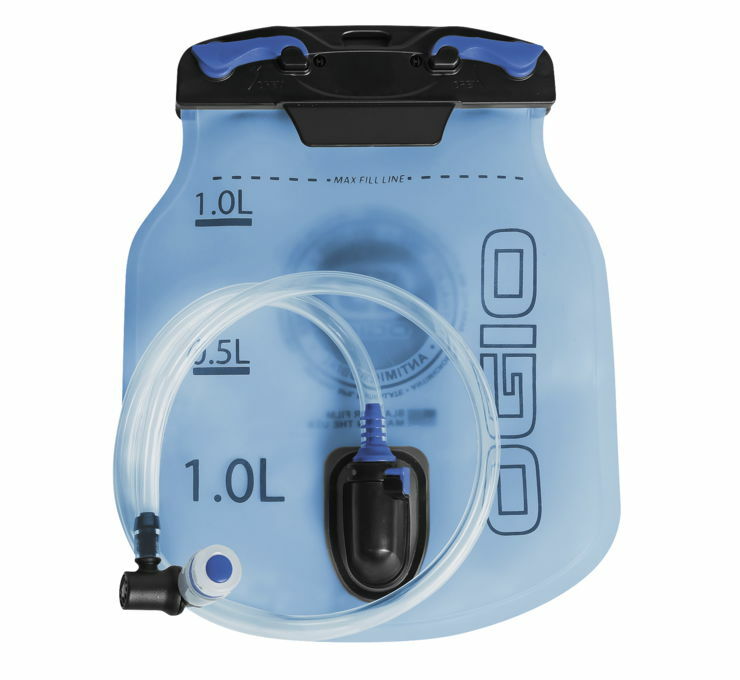 Angled easy flow bite valve provides a constant flow-rate. TPU tubing is odor-free and taste-free. 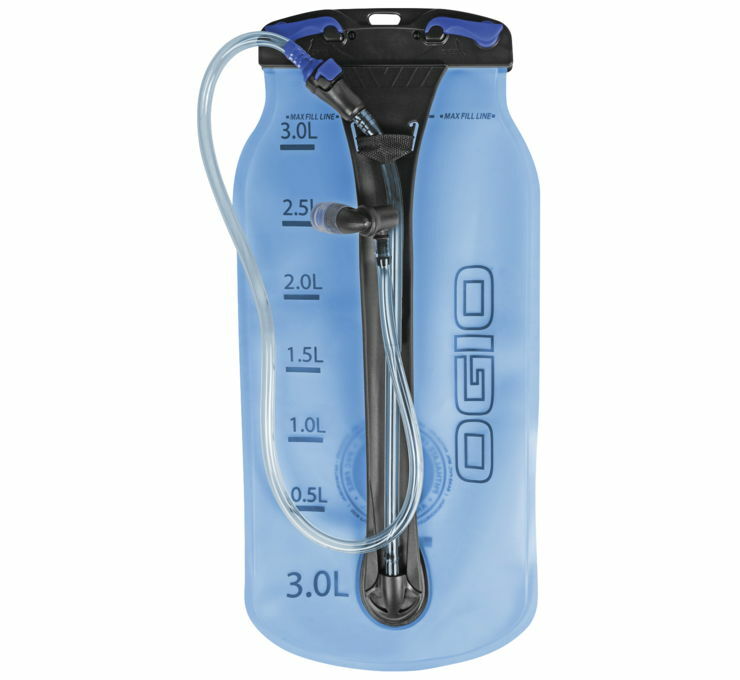 Volume markings on the front for making it easy to mix electrolytes or your favorite drink.